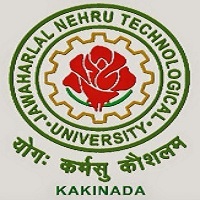 On the behalf of APSCHE, the Jawaharlal Nehru Technological University, Kakinada organizes state level entrance exam. It is Andhra Pradesh Engineering, Agriculture and Medical allied Common Entrance Test (AP EAMCET). This entrance exam is organized to get admission into engineering, medical and agricultural courses. In this article, we are giving the information about AP EAMCET Rank Predictor 2019. Before the result declaration, everyone is curious to know that whether they qualify the exam or not. With the use of AP EAMCET Rank Predictor 2019, candidates will get a rough idea about their estimated rank in the entrance exam. Candidates can predict their rank after calculating their marks in the entrance exam. Candidates can calculate their marks with the help of the answer key. After the entrance exam, various coaching institution published the answer key. It is unofficial answer key. The official answer key will be uploaded by the conducting body. With the use of answer key & exam pattern, candidates can calculate the marks of their entrance exam. AP EAMCET 2019 rank predictor is very important tool, by which students can predict their expected ranks. To use this tool candidates must be aware of the general instruction & usage guidelines. In order to use the tool candidates have to enter their details like Name, email, hall ticket no, probable score in Eamcet exm and percentage of marks obtained in class 12th. Candidates must make sure to enter their correct information which will be analyzed by tool to display the best possible rank that you may score in the exam. The rank calculated by the tool is not 100% correct. Hence the candidates must make sure that this is not their final rank. With the help of our rank predictor tool, students can plan their counselling process and availability of colleges on behalf of their estimated rank. The rank list will be prepared on the basis of the combined marks secured in AP EAMCET 2019 and in Intermediate. The weightage is divided into ratio of 75:25 i.e. 75% weightage in the entrance exam & 25% weightage to the marks obtained in Physics, Chemistry & Mathematics (including practical’s) of Class 12th. How to use Rank Predictor? Before using the rank predictor, the candidate has to know their AP EAMCET marks and also their 10+2 marks. The total score is out of 100 (Estimated Score + Board Weightage). If you have any query about AP EAMCET Rank Predictor 2019, you can ask here. My rank. ButI don’t know the marks in inter. You can check complete details about rank through this article. You can predict your rank using the method provided in the article. Hi i got 71marks in eamcet nd 10points in 12th board in 2019 say rank please ??? Im a CBSE student,and I didnt get my rank so how do i check for my rank in AP EAMCET ? SIR i have passed inter with 556/600.Iam sc candidate then how many marks should i get in ap eamcet to get any JNTU. You can check AP EAMCET 2016 rank of your son from here.